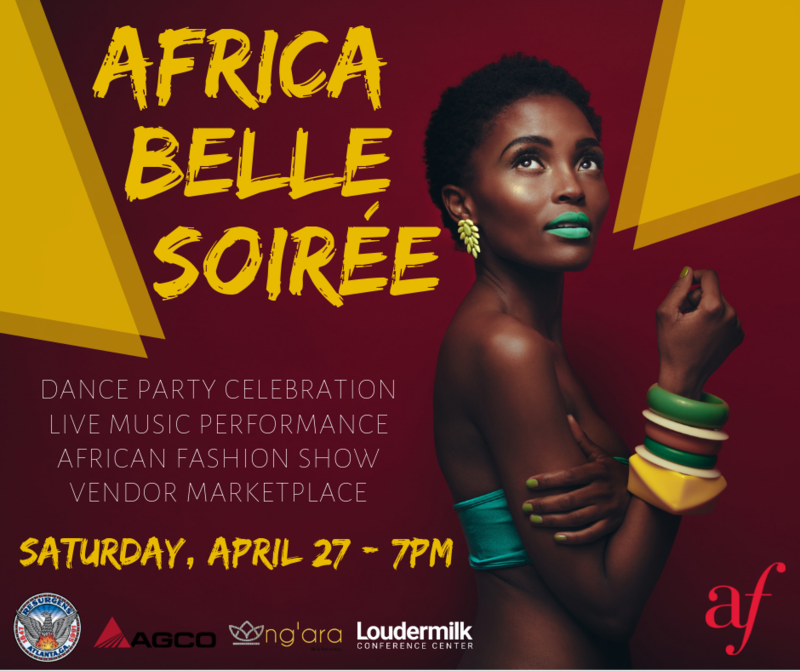 Join us for our 9th annual Africa Belle Soirée, a dance party celebration at the Loudermilk Conference Center. Guests will enjoy a live music performance, African fashion show by Ng’ara Designs, vendor marketplace, light bites, and the latest African dance hits spun by DJ Amad. Come join us for the ultimate Africa Belle finale! Are you a Vendor selling African art or products and would like to be featured in our Marketplace? Sign-up here! Your ticket gives you access to all the entertainment, 1 drink ticket and light bites.